I’ve done a search on the forums but nothing specific to hardwire installing dashcam on the NX...although I’m sure it’s pretty similar. Anyone have suggestions on which fuse to tap into? Or has anyone successfully tried the rear view mirror method? - which I’d prefer if it’s not too complicated. I connected mine via the console 12v adapter. This power is turned on with the key. With some luck, you will find a great way to run the wires. I hardwired mine to one of the ignition fuses, can't remember which. Search for it, I also found it somewhere in the threads. I used this post to hard wire my camera it gave me a good idea of what i'm doing. I connected mine to the lighter port (USB adapter provided with dashcam). Surprisingly easy to tuck the cord under the headliner, across and down the A pillar, under the weatherstripping, under the glove compartment, then tucked under the center console trim and into the center console. It worked out so well that I installed a dashcam for my wife's IS250. Clean look as well, but I just barely had enough cable to reach. I also have those plastic wedge tools that helped. were you able to install on the IS without removing the a-pillar? Mine is mounted behind the rearview mirror, and is hardwired to the area where the switch power for the sunroof is. You just pop that off (buy a few of the replacement clips) and hardwire it into there. Not trying to be a d*@k here, but I'm trying to understand why people want dash cams? I realize there are plenty of vids on the internet of crashes etc caught on them, but in my 40+ years of driving I've actually seen a crash occur in front of me maybe twice and never been involved in one myself. I've heard where it''s almost standard equipment in Russia, but that might speak more to quality of drivers there and adherence to driving rules and etiquette being followed. I just don't get why people in the USA would need/want one and why put another treat in the vehicle for someone to want to steal. I was going to say life is easier with a dash cam. yes, but it certainly helped to have those plastic wedges. I initially thought I'd need to remove the a-pillar, but was able to shove the cable in without needing to. I think it's a big thing in Russia due to a heavy amount of fake accidents. But for me, it's cheap insurance. I get hit in the back, easy to say it's not my fault. But if there's an accident in front and the other person is saying it's my fault or 50/50, then the dashcam will help. I got mine for $50. I was able to wedge the cable into the pillar until I get to the dash board. How did you manage to tuck into the weather stripping? It was kind of strange. For my NX, I was able to easily pull the weatherstripping off the frame and tuck the cable in then push the weatherstripping back. 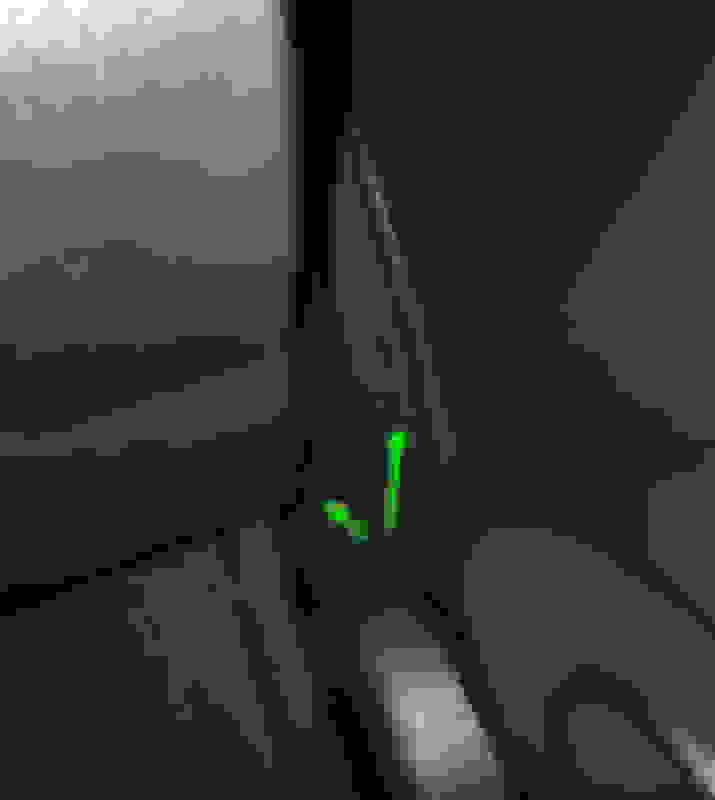 For the IS, it seemed more difficult, so I just raised the lip of the weatherstripping and shoved the cable under. Then at the bottom of the dash, I just brought it under the glove compartment area then when it got to the center console, tuck it under some trim pieces. I brought it up where the back of the passenger seat is. Here's a pick of where it came out of the weatherstripping. 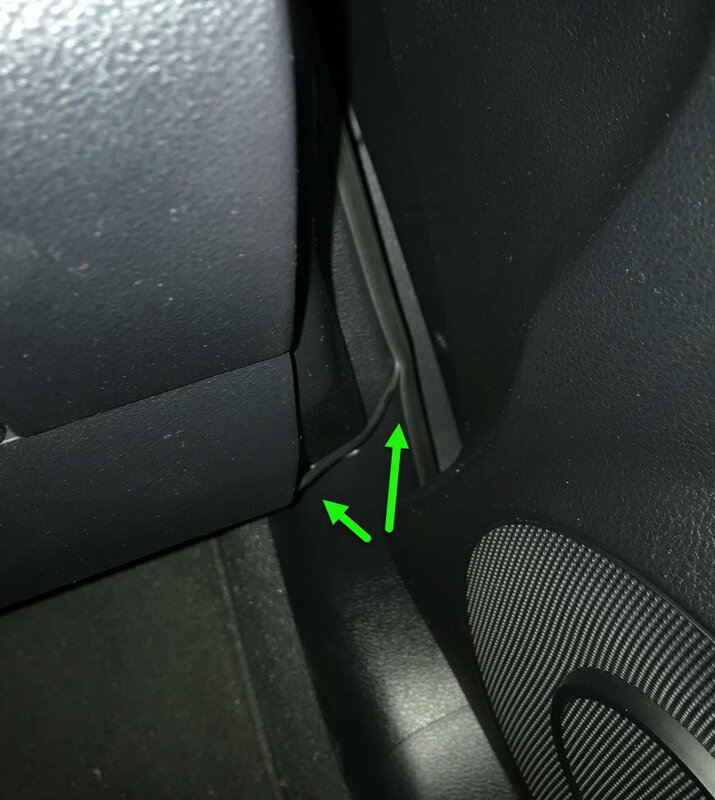 how did you tuck the cable at the end of the pillar that meets the dash?